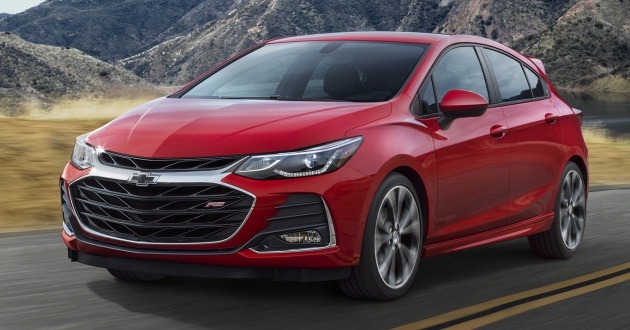 General Motors (GM) has announced plans to shut down seven factories and cut approximately 15% of its workforce as part of a major restructuring programme. The move will also see the company shift investments into the development of autonomous and electric vehicles, Autocar reports. The US giant has struggled with falling sales in recent years, leading up to a major revamp. Part of the restructuring include the sale of Vauxhall and Opel to the PSA Group. GM had also recently handed over its Vietnamese operations to Vingroup JSC, which is now the exclusive distributor of Chevrolet cars in Vietnam. In North America, GM’s sales have been hit hard by falling demand for sedan cars, and it will mirror rival Ford’s move to ramp up development of SUVs and pick-up trucks, while pulling the plug on several sedan models. According to reports, the Chevrolet Cruze, Impala, Cadillac CT6, Buick LaCrosse and Chevrolet Volt hybrid will all be axed. Next, GM will close five North American plants by the end of 2019. The assembly facilities in Detroit, Ohio and Ontario, Canada will go, along with transmission factories in Michigan and Maryland. Two unnamed plants outside North America will also be shut down, following its plant in Korea following the firm’s exit earlier this year. Besides that, GM will be reducing its workforce by 15%, which equates to around 18,000 jobs. The company will also cut 25% of its executive staff in a move that could potentially reduce cost by up to £3.5 billion (RM18.8 billion). Moving on, GM will be putting more emphasis on new vehicle platforms, and future investments will be focused on developing its next-generation battery-electric vehicles. The company has already revealed plans to develop a 400 kW Extreme Fast Charger system, which gives 290 km of electric range via a 10-minute charge. What do you think of this, guys? Discuss, below. According to basher logic, this is because abang-abangs were managing GM. If they had foreign CEOs, GM would have been bigger than Toyota and more advanced than Tesla. inb4 he is part Mexican and not full Mat Salleh. Criteria for being saviour is must be Caucasian. Lucky China saved Proton. If not, we will still be having a losing business now. I guess I’ll miss the axed models: the Cruze & Caddy CT6. If you click on their names above, you’ll see those cars aren’t even a year old! ..and Malaysian become kalut when Geely buy 49% Proton. Right time Naza oredy left Chevy. Cadillac, GMC, Buick, Chevrolet all do not suit my taste. Please bring in Camaro, Taurus and Cruze.